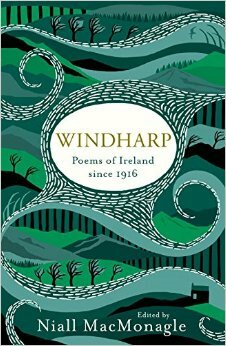 I’ve just found out I’ve a poem in Niall MacMonagle’s Anthology of Irish Poems since 1916, Windharp. A nice surprise – and the launch is tomorrow in the National Library at 6pm. It looks like there are some great poets in the line up, and I’ll be curious, as always with these kinds of anthologies, to see the version of poetic Ireland that’s reflected. Niall’s thoughts on the challenges of the anthology project are here. Mighty stuff Jess, well done! Thanks Barbara – a total surprise, but found out in time to make it along to the launch tomorrow! The version of ‘poetic Ireland’ that is reflected in this anthology does a great disservice to Irish language poetry. Many of Ireland’s finest poets are simply not there – Seán Ó Ríordáin, Mháire Mhac an tSaoi, Biddy Jenkinson, Liam Ó Muirthile, the entire Innti generation (with the exception of one poem by Nuala Ní Dhomhnaill). In fact, there are only two poems in Irish. Not one single Irish language poet from the north of Ireland – why is Gearóid Mac Lochlainn not there? And so on. ‘One Country, One Book’ says the book’s editor. I think not. I’m afraid I can’t adequately respond to your comment Liam as I’m yet to receive a contributors copy – none were offered at the launch. Since I wasn’t paid for the use of my work I’m not eager to pay for this book. It’s a disgrace you weren’t given a copy of the book, and not paid. I wouldn’t be so annoyed it wasn’t for the fact that this anthology is being hyped as somehow a definitive portrait of Irish poetry in the past 100 years. It’s not. Far from it.